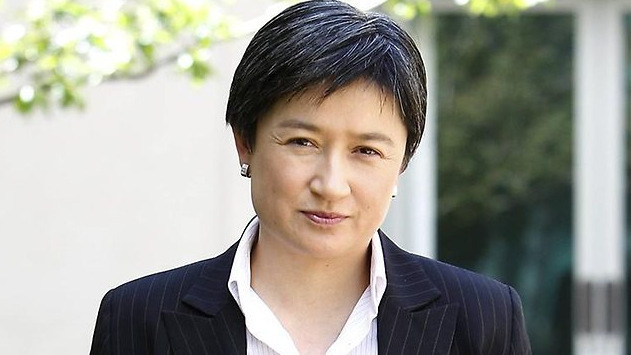 Labor senator Penny Wong has been awarded the 2019 McKinnon Prize for Political Leadership. The annual prize is an initiative of the Susan McKinnon Foundation and the University of Melbourne’s School of Government. In awarding the 50-year-old politician the prize the organisers said it was “for her leadership and advocacy in promoting a more tolerant and inclusive Australia, and for shaping Australia’s foreign policy dialogue” in her role as Labor’s foreign affairs spokeswoman – and possibly Australia’s next foreign minister. The award was conferred by an esteemed panel of judges including former prime ministers Julia Gillard and John Howard, Business Council chief executive Jennifer Westacott, former Defence secretary Dennis Richardson and the University of Melbourne’s Provost Mark Considine. The inaugural prize was given last year to Liberal senator Dean Smith. Like Smith, Wong was at the forefront of the marriage equality debate and is one of the most prominent members of the LGBTIQ+ communities in the country. Greens senator Jordon Steele-John was named as the McKinnon Emerging Political Leader of the Year for his advocacy on disability issues. The Western Australian senator has been at the forefront of calls for a Royal Commission into disability services in Australia.